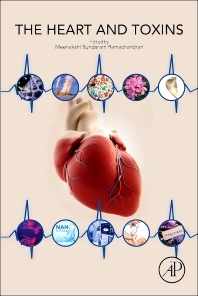 The Heart and Toxins brings together global experts to provide the latest information and clinical trials that make the connection between genetic susceptibility, gene expression, and environmental factors in cardiovascular diseases. This unique reference, edited by renowned cardiologist Meenakshi Sundaram Ramachandran, solves the problem of managing multiple clinical cases of cardiovascular toxicity. It allows connections to be made between research, diagnosis, and treatment to avoid higher morbidity and mortality rates as a result of cardiovascular toxicity. This reference is intended for Cardiology Researchers, Cardiologists, Internists, Toxicologists, Emergency Medicine Physicians, and Oncologists.